A small stove fire turned raging inferno had Red Cross volunteers rushing to the scene of a four-alarm blaze in Coatesville yesterday. 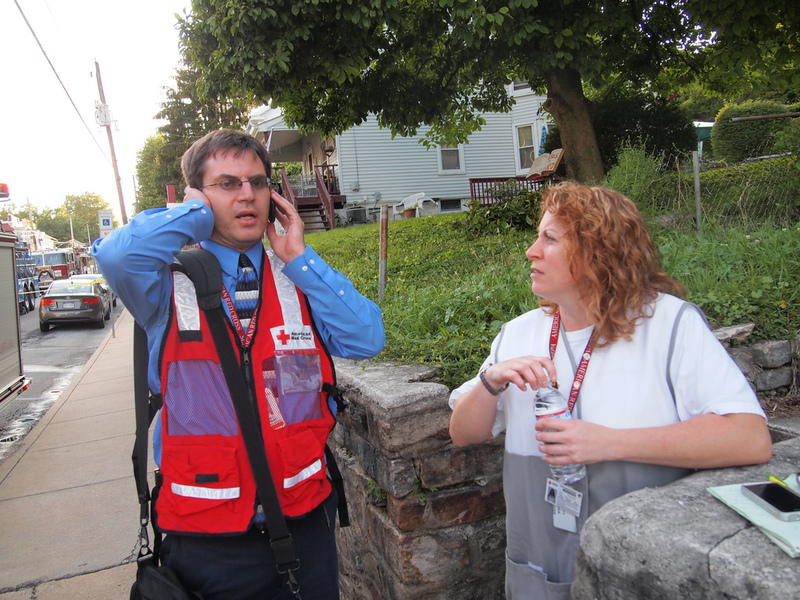 The Chester County Disaster Action Team received a call in the late afternoon on Wednesday June 6th. 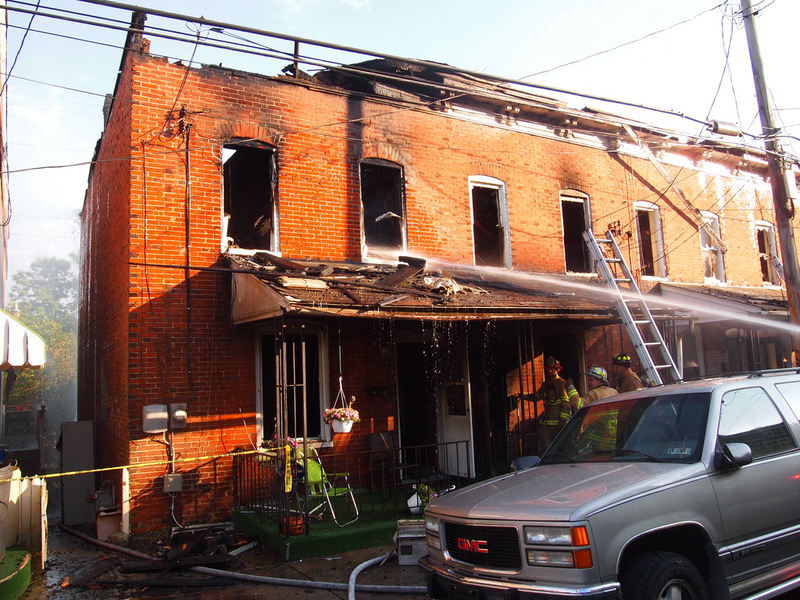 A fire in one row home on the 600 block of Coats street had spread to eight more and several families had been forced to flee with only the clothes on their backs. Volunteers were witness to a dramatic scene. Firefighters from all over Chester County converged on the scene to fight intense flames that infiltrated the attic spaces of several homes and was helped by the apparent lack of firewalls. What was initially a three alarm fire required a forth alarm to call in more manpower as fire fighters became exhausted fighting the blaze. The fire displaced eight families, 18 people in all. Among them were 13 adults and five children. Red Cross disaster volunteers acted quickly to find a public space that was suitable for gathering the victims together and meeting their immediate needs. 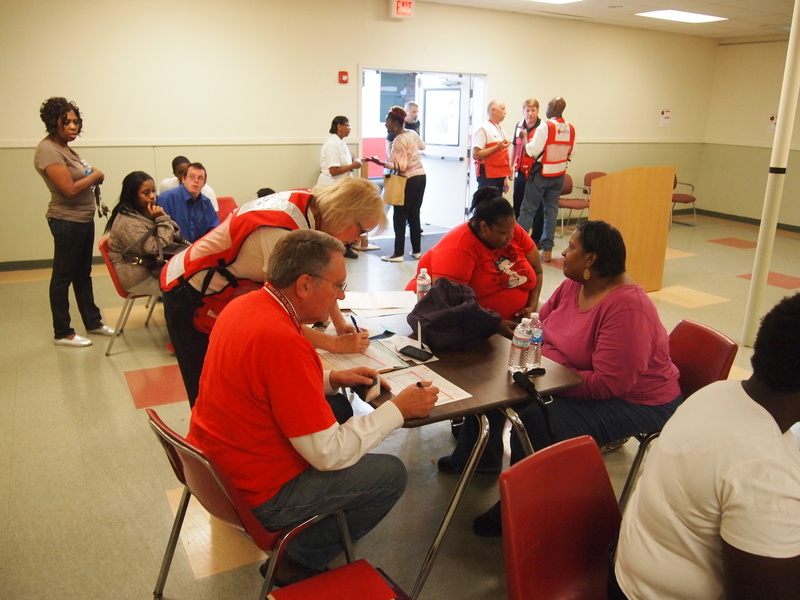 We opened a comfort center in the Coatesville Community Center. Here, volunteers provided the displaced with water and food. Once they were ready, our volunteers helped them fill out paperwork to get them the financial assistance they need to buy emergency food, clothing, and shelter. Chapter Communicator Dave Schrader relays information to the media after getting an update on the response from volunteer Denise Graf. 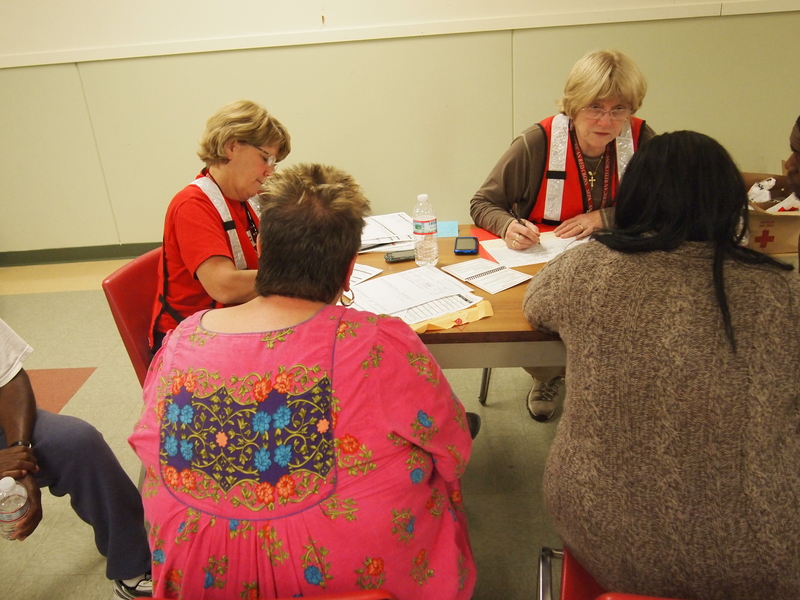 Chester County Red Cross volunteers were on hand to coordinate our efforts. Their attention was focused on the needs of the victims. According to news reports, one family was planning for a summer vacation. They had made purchases for the trip and were looking forward to their imminent departure. Our volunteers will help them to regroup and develop a new plan – one that manages their loss and still looks forward to a joyful family vacation. There is no more rewarding work than helping others. Red Cross volunteers know this. They are profoundly grateful for the opportunity to provide for the basic needs of those who have lost everything. The presence of the Red Cross at the scene comforted the displaced, the firefighters, the city of Coatesville and all those who were exposed to this horrible fire through media outlets. Our work is essential. Thank you to those who support and help us.